I’m so glad I found this Nantucket Legacy series. Fisher has converted me into a historical-Quaker-fiction fan — and I think I was eased into it because I already loved Fisher’s Amish stories. Minding the Light certainly reflects the hardships in a burgeoning yet still isolated Nantucket community. It also demonstrates the hypocrisy of religion when what we practice doesn’t align with what we preach. Most significantly, it illustrates the many kinds of love we are able to share when push comes to shove. Despite some tragic plot lines, I really enjoyed the Captain’s story. From his time on the boat to his trust in Abraham to his growing love for his children, the Captain was what we should all strive to be – dignified, respectable, caring, and open to hearing what others think of us. This novel wasn’t all seriousness and morality lessons, though. There were Patience’s smirks, the children’s fun personalities, some love stories, a maverick business partner, and quite a caricature of a mother in law! I was entertained, learned more about the Quakers, and enjoyed the oceanfront setting as I await my own vacation to the shore. What a terrific book! 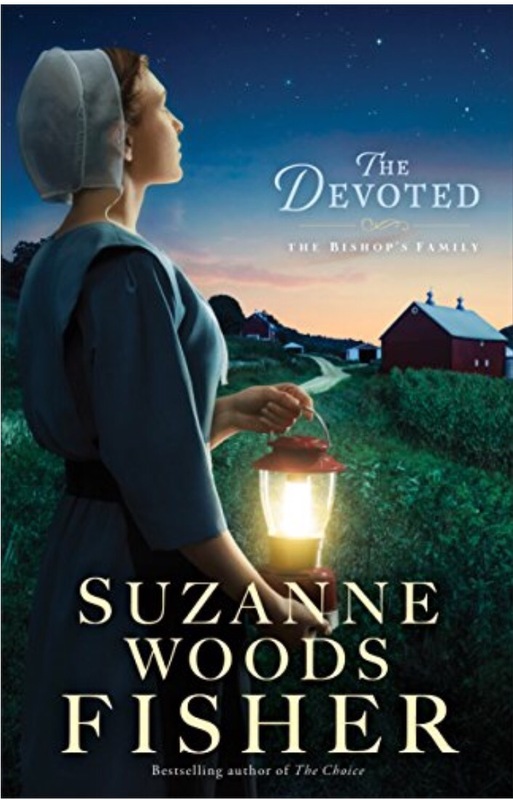 I loved reading The Devoted for Suzanne Woods Fisher’s excellent writing and ability to touch my heart. Amish Ruthie is thinking of leaving the community to search for something bigger and better. Dok has been there, done that, has the t-shirt… and wore it back home for a reason. Patrick the Englischer faces matters of his own mortality and wants to become Amish, serendipitously taking away time Ruthie might have with her boyfriend Luke. The bishop watches it all unfold, shares his words of wisdom, and takes a stand when individual storing-up grows into a problem worse than the Israelites hoarding manna. I so appreciated the discussions of sufficiency and dependency woven seamlessly into a story that centers around family and community. Fisher has a way of bringing the reader into the Amish world, so we wend through problems with the characters, connecting and loving and learning with them. I’m grateful. 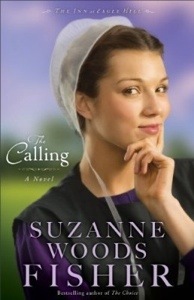 If you’re a fan of Amish fiction, then you’re probably already familiar with Suzanne Woods Fisher. She’s an excellent writer – her narratives are smooth, easy to read, organized, and precise with regards to vocabulary. Her characters are well-thought out, and I haven’t ever found an error on one of her books — they’re professionally done. This particular title, The Calling, met all my expectations for a Woods Fisher novel. I loved Bethany, the strong heroine, and the people she held close to her. I enjoyed seeing her beau mature and his mother find common ground with Bethany. I had difficulty with the number of characters – so many! Maybe I’m too accustomed to novels with fewer than a dozen, but my brain simply couldn’t keep track of all the families and in-laws and grandparents. There were quite a few mentions of people that had died in the past, and that complicated things further for me. Besides that, I appreciated the various subplots — the grass roots soup kitchen, the elderly sisters, mental illness’ effect on families, a few budding romances, securities fraud, and Geena, the non-Amish woman who finds the path she’s looking for among the Amish. So many well-developed themes and subplots in one story – the fine writing definitely supported them all. I was impressed. Now that I know the characters a little better, I’ll more easily enjoy the next in the Eagle Hill series, I’m sure.